The book devotes even MORE pages to the issue of petting. 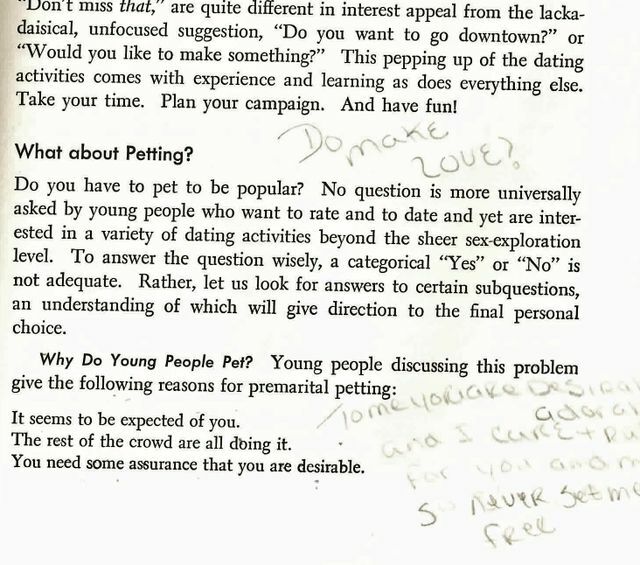 (Although unlike EVERY OTHER TOPIC EVER, it does not actually define "petting" in any detail. We'll just assume we're talking Swimsuit Parts, the naughty touching of. Aw, somebody's in lovE, you guys!